:: From Sharon at Birdchick: The latest Birdchick Podcast (Sharon mentioned my Digiscoping post in her podcast!) Thanks so much, Sharon. 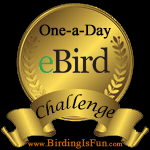 This entry was posted in Alberta Birds, Birding, Birding News, Blogging, General Birding, Winter and tagged Birding News, Blogs, Burrowing Owl, New York Times, Sage Grouse. Bookmark the permalink. I will have to read up on the Florida subspecies of Burrowing Owl that has found its way to Nova Scotia. I really enjoyed viewing Tammy Karrs wonderful post. Thanks for sharing, Charlotte!